(CNS): A motor cycle rider has undergone surgery and remains in the intensive care unit at the Cayman Islands hospital in a stable condition following a major collision last night at the junction of Hirst Road and the East-West Arterial involving two cars and the motorcyclist. The crash was reported to 911 just after 9:00pm Thursday (30 April) when police said the 20 year old motorcyclist collided with a Jeep Cherokee which was turning right to enter the East-West Arterial after going airborne the rider hit a Honda Accord that was behind the jeep. Medics treated the rider who was said to be awake and alert on scene but who had sustained facial injuries in the smash. 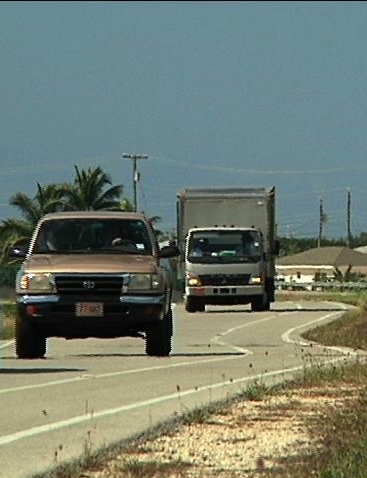 An RCIPS spokesperson explained that the Jeep Cherokee driven by a 21-year-old man was travelling South on Hirst Road towards the East-West Arterial and the Honda Accord driven by a 25-year-old female was travelling behind it. The motorcyclist was also travelling on Hirst Road towards the East-West Arterial. The driver of the Jeep Cherokee was turning right to enter the East-West Arterial when the motorcyclist hit the left passenger side, which threw him up into the air and he then collided with the Honda Accord. Police said the rider was taken to the GT Hospital where he remains since his surgery for extensive facial injuries including degloving injuries and facial bone fractures. (CNS): Six CONCACAF teams including the USA and Mexico will be taking part in the Centennial Edition of the famous Copa America will be played in the United States in 2016. One of the oldest football tournaments in the world hosted by the he South American Football Confederation (CONMEBOL) will unite both of the America’s footballing bodies to create a one off historic football tournament to celebrate 100 years of the South American contest. The special football event was announced in Miami Thursday morning by Eugenio Figueredo, the CONMEBOL president and CONCACAF’S Jeff Webb. The Centennial Cup America will mark the first time the championship has been played outside of that region will be the most significant football tournament in the US since the 1994 FIFA World Cup. “I congratulate CONMEBOL for inspiring players and fans throughout a century of fantastic football, and thank them for extending the legacy of this hugely successful event to CONCACAF territory,” said Webb at the press briefing which was aired live via the CONCACAF Website. Figueredo said the south American federation was proud to be involved in the celebration which would unite all America. “Year after year the Cup has gained prestige, which has allowed the opening of doors to the football of an entire continent. Now, CONCACAF and the United States will play host to the world’s oldest national team competition,” he added. The Centennial Cup America will be held in cities across the United States in the summer of 2016, kicking off on June 3 and culminating with the Final on Sunday, June 26. 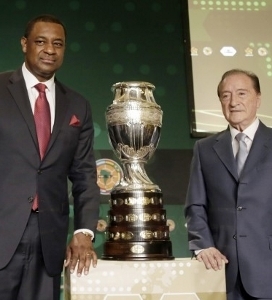 In a sixteen team field, CONMEBOL’s ten Member Associations – Argentina, Bolivia, Brazil, Chile, Colombia, Ecuador, Paraguay, Peru, Uruguay and Venezuela – will be joined by six competitors from CONCACAF, including hosts the United States, and six-time Gold Cup champion Mexico. Two more of the places for CONCACAF teams will go to the 2014 champion of the Caribbean Football Union in November’s Caribbean Cup and the champion of the UNCAF, winner of the Central American Cup scheduled to be staged in the fall of 2014. The final two teams to earn a ticket to the special tournament will be determined by a four-team playoff. The four national teams advancing furthest in the 2015 edition of the CONCACAF Gold Cup that are not the ones already qualified to the Centennial Cup America via the gold cup contests will dispute playoff matches to determine the final two qualifiers for the Centennial America Cup. The teams advancing to the playoff round will be seeded one through four according to their performance in the 2015 Gold Cup. The highest seed will then face the fourth seed, and the second seed will face the third seed in a playoff doubleheader, with the winners of each of those two matches advancing to the Centennial Cup America. The last Copa America was celebrated in Argentina in 2011, with Uruguay claiming a record fifteenth title and the 2015 COPA will be in Chile. 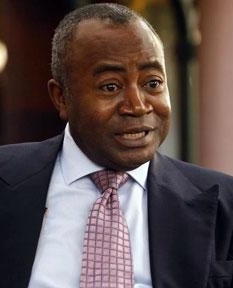 (CNS): Jamaican born UK attorney Courtenay Griffiths, QC, who has represented, among other controversial clients, the former Liberian warlord Charles Taylor, has been hired by the former premier of the Turks and Caicos Islands to defend him against the charges he faces in connection with the controversial UK corruption investigation. Michael Misick, who was extradited back to his home country in January after he was arrested in Brazil and held in jail there more than a year, was due to stand trial in July. However, one of Griffiths’ first moves was to making an application to postpone the trial as he said the special investigators and other defendants have had years to prepare their case. In order to properly represent Misick, he told TCI media, it is only fair he gets more time to put the case together and that there is a proper democratic resolution to the whole investigation. Griffiths and Misick know each other as they met in London when the former premier was at law school. Griffiths has stated in the past that he "relishes defending clients"regarded by others as indefensible. (CNS): The customs department’s efforts to clamp down on duty dodgers went a bit far this weekend when officers seized a wedding dress. The department has been accused of ruining a couple’s big day by confiscating a bride’s gown in an incident which could do serious damage to the Department of Tourism’s push to make the Cayman Islands the destination of choice for weddings. The customs boss denied that her officers did anything wrong, however, and stated that the groom should have declared the dress when he arrived and paid a deposit. Because he did not declare various wedding outfits and have a receipt for the dress for his bride, who is a resident on the island, officers seized it and demanded $500. Scott Mclean, a former resident of the islands who met his bride here and wanted to marry in the place they fell in love, told Cayman27 that he had no idea about the deposit policy and was not trying to smuggle in goods. “Customs confiscated my wife’s wedding dress and said we don’t have a receipt so we could not have it back,” he said, adding that no one in the wedding party was aware of the deposit rule or the need for a receipt. After what appears to have been an upsetting ordeal for the party, in the end the customs department relented on the hefty deposit and reduced it to $60. Samantha Bennett, the head of the customs department, said it was normal procedure and deposits are returned when newlyweds leave Cayman. ”Had the passenger properly declared the item up front, I’m sure this incident would not have been blown out of proportion,” Bennett said in a statement. CNS has contacted the Department of Tourism regarding the incident for comment on raising awareness about the need for a declaration and receipts regarding wedding attires and the need to pay duty or a deposit on the clothes on arrival for destination weddings. CNS Note: The article has been amended to reflect the fact that the bride was not in the group arriving with the wedding gown and that she is a resident on the island. (CNS): As the need to slash the civil service bill takes front and centre of government’s agenda, the man in charge of cutting the public sector has been lobbying for the re-instatement of the yo-yoing 3.2% cost of living allowance which was cut, returned and cut again during the last administration. However, Marco Archer the minister of finance confirmed that there is no room in his 2014/15 budget to return the COLA to government workers. Although the guardian of the public purse said Thursday that the budget for 2013/14 is on track for the $100million surplus as predicted, the reinstatement of the 3.2% would push the personnel bill for 2014/15 over the $241million wage bill agreed with the UK. The healthy surplus that Archer is expecting is spoken for as it has been consumed by capital works and government debt. Government is said to have almost 200 vacancies which it is not filling in order to keep costs down forcing the much beleaguered government workforce in many cases to work much harder and longer for less reward as there has been no increases to public sector pay for six or seven years — just a 3.2% cut. Franz Manderson, who is understood to have sent a memo recently to the elected arm of government regarding the reinstatement of COLA has stated publically on a number of occasions that the civil service is at the end of the road in its ability to make further cuts without significant policy changes. Another review is now being conducted by Ernst and Young after the management consultancy firm won a $155,000 contract to advice what public service government can sell off or partner with the private sector to cut costs further. The deputy governor has also noted that many people in the CS are working harder than ever as a result of cuts in resources and personnel but there has been no reward. The size of the government’s budget and the chunk that goes on personnel costs continues to create the perception in the private sector that the civil service is dysfunctional as the end user of government services does not always see the hard work first hand. The public sector continues to face criticisms but the vast majority of government workers or not fat cat bureaucrats but men and women earning far less than the national average. (CNS): Some Caymanians spent money on imported goods last year in record numbers despite the sluggish local economy and continuing high levels of unemployment. A combination of quantity and cost of fuel was behind the 2.1 percent increase on the amount in 2012 and the highest level for five years. 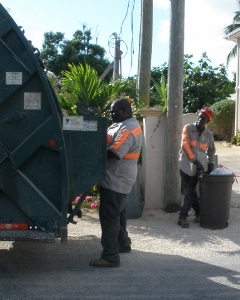 The total value of goods imported by Cayman residents in 2013 was recorded at CI$774.5 million, 2.1 percent higher than in 2012. Imports of petroleum products increased by 10.5 percent to reach CI$167.8 million but capital goods and industrial supplies were higher by 9.0. The finance and economics minister told CNS that the boost has helped to ensure that the government will balance the 2013/14 budget. Experts at the ESO said the quantity of motor gas as well as an increase in the average prices of motor gas, diesel and aviation fuel and related products which continues to account for almost a quarter of all imported goods, was the main source of the rise. But the full report on foreign trade statistics reveals that Caymanians were spending more on many things from booze to plastics and building materials signalling a rise construction activity. The foreign (overseas) trade statistics is produced by the Economics and Statistics Office (ESO) from computerized records maintained by the Customs Department. The ESO checks the credibility of the data, and classifies it into tables that can be useful for analysis. The foreign trade statistics can help tracking trade trends and changes in import and export as a result of the importance to the public purse of duty. (CNS): Although the crown has managed to present its full case against Elvis Ebanks in relation to allegations of corruption, the suspended cop has been delayed in responding to his accusers. The Grand Court judge presiding over the case was forced to adjourn the case for almost two weeks on Wednesday as a result of a juror being taken ill. Justice Charles Quin agreed to an application made by his defence attorney to wait until the juror is back to full health in order to continue the trial with a full panel of seven jurors. Ebanks is accused of taking a more than CI$500 bribe from a Filipino national suspected of stealing not to press charges. Ebanks has denied the allegations as he claims that Len Ferarres, the man who said he found the phone at the Autospa car wash in Red Bay, offered the money to Ebanks as a loan. The trial has been plagued with delays as a result of problems with interpreters as the first language offs the crown’s key witness was Tagalog. So far, two attempts by the crown to prosecute the case have failed after problems relating to the interpreters supplied to the courts to translate during the proceedings. This is the first case under the anti-corruption law that has gone to trial and only the second case to be brought before the courts. Ebanks is also the first police officer to face charges as a result of the new law. A civilian RCIPS employee was given a nine months suspended sentence in May 2013 after she pleaded guilty to two counts of misconduct in a public office. Patricia Webster was employed at George Town police station as a receptionist and was charged in October 2011 for misusing the police and immigration data systems. Webster had conducted one search on behalf of a former RCIPS employee who had wanted a friend’s phone number, which she found and passed on. She had also searched the confidential immigration databases to find out if a friend was the subject of a police investigation and if there was a stop notice on him but she was unable to confirm one way or another. In that case the judge found that Webster was foolish and naive but had not received any pecuniary gain from her crime. Webster admitted making the searches but said she did not believe she had done anything wrong as she was merely trying to help friends. (CNS): Investors proposing a $360 million golf development in North Side said the future of the project isin the hands of the Foreign and Commonwealth Office as the UK must approve what will be a $40 million loan to the Cayman government to finance the east-west arterial extension. David Moffitt made it clear to local business people Wednesday that the Ironwood development will only happen if the road is approved and the FCO has the final say on that. Although government has distanced itself from the financing of the road, the public purse will be picking up the tab, albeit over a 20 year period. The loan will be paid back to the developer via duties and fees that government will collect, not just from the Ironwood project but any other new development that generates revenue as a result of the road. Speaking at the Chamber of Commerce 'Be Informed' event, Denise Gower of Fountainhead, the project’s PR firm, explained that the developer will not receive any concessions or duty waivers at all on the project. Instead, all of the taxes, fees and duties associated with the development will be paid in full to government but that money will then be ring-fenced and given back to the developers to pay-off the road loan. “The idea of a developer not asking for any concessions from government is unique,” she said. “But Ironwood is a unique project that is being built on a philosophy of long-term sustainability. It makes more sense for the developer to pay the requisite duties and fees to government and in turn have the infrastructure required for the success of the project than it does to ask for special favours. Ironwood has proposed the clearest and most transparent approach possible, which is good for Cayman,” she explained. This means that the revenue government collects from customs duty, stamp duty and all other related fees over the twenty years it will take to complete the entire development will not go into general revenue but will be used to pay for the road. The developer anticipates that the project will generate up to $25 million in duties but the new road is expected to spark more development, creating new revenue for government which will also be ring-fenced and directed towards the loan until the full $40million is paid off. Following negotiations with the National Trust and the compromise over the actual direction of the ten miles of by-pass, the next step is to have the loan approved by the FCO. Although the developer will be taking the risk on the initial financing, government will still be paying the full amount in the long run, which is why the final say is down to the UK. Regardless of the arrangements, the money is a loan and the CIG is currently barred from increasing public debt, leaving a significant question mark over the project. However, Moffitt said he was cautiously optimistic that an arrangement over the financing could be made that the FCO could support. He also told members of the Chamber that he and the investors are ready to go and if the FCO does say yes to the financing arrangements under discussion, within three months or so of that OK, he would hope to start work not just on the road but the first phase of the development as well. It is not clear, however, when government would be required to start making its payments to the developer on the loan but if work begins on the development at the same time as the road then the developer will be paying duty immediately. The first phase of the development includes the golf course and related facilities, the town centre, which includes retail units and over 80 town houses, and a subdivision for residential homes. Moffitt confirmed that although the developers have submitted plans regarding the retail element of the town centre, no other applications, including for the golf course, have been made to planning as he said the road was the deal breaker. The developer has committed to utilizing local firms and workers across the life of the project. However, Moffitt told the Chamber audience that Ironwoodwill be partnering with GLF, the company which had at one time been in negotiations with the previous UDP government to build the George Town port. GLF had been ready to mobilize when McKeeva Bush closed down the talks in order to work with the Chinese conglomerate CHEC.